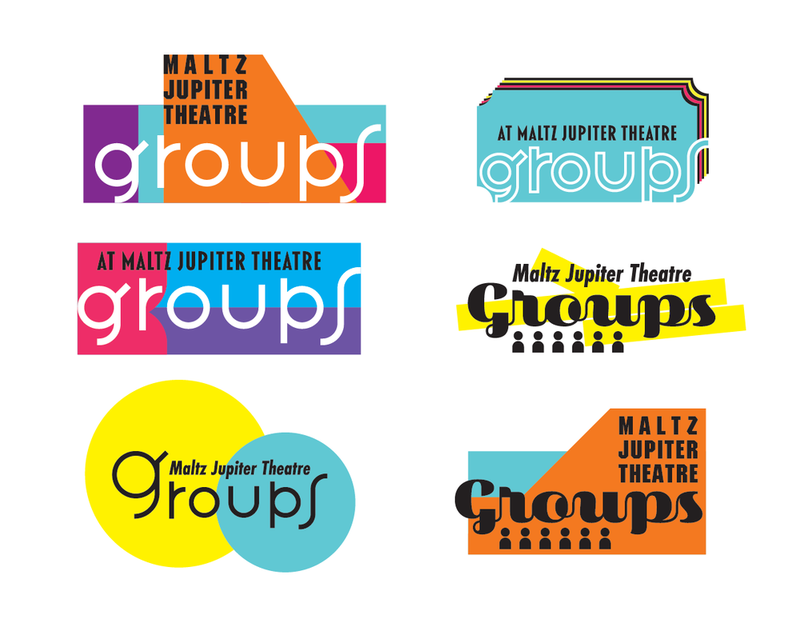 Identity system developed for use on all Maltz Jupiter Theatre group sales materials. 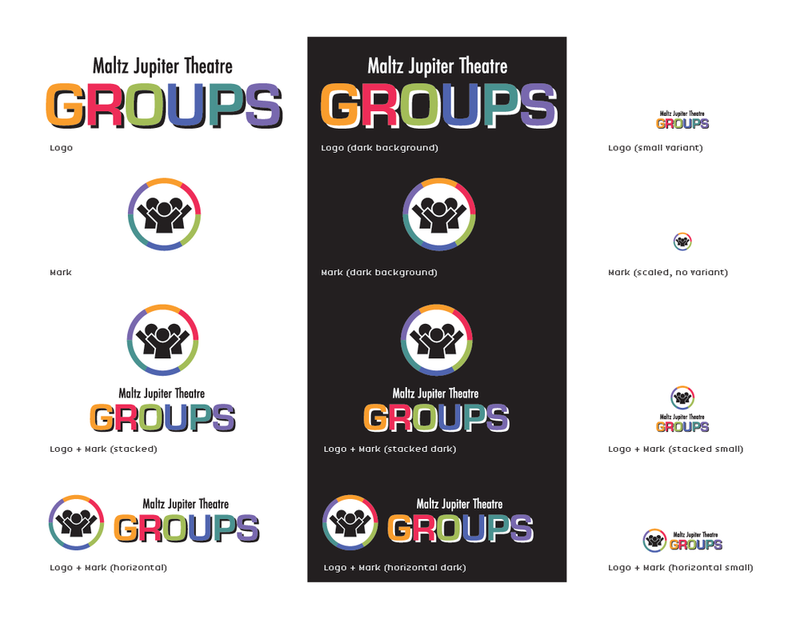 Meant to evoke the fun of attending theatre as a group and appeal to a slightly younger demographic than our usual patrons in their golden years. 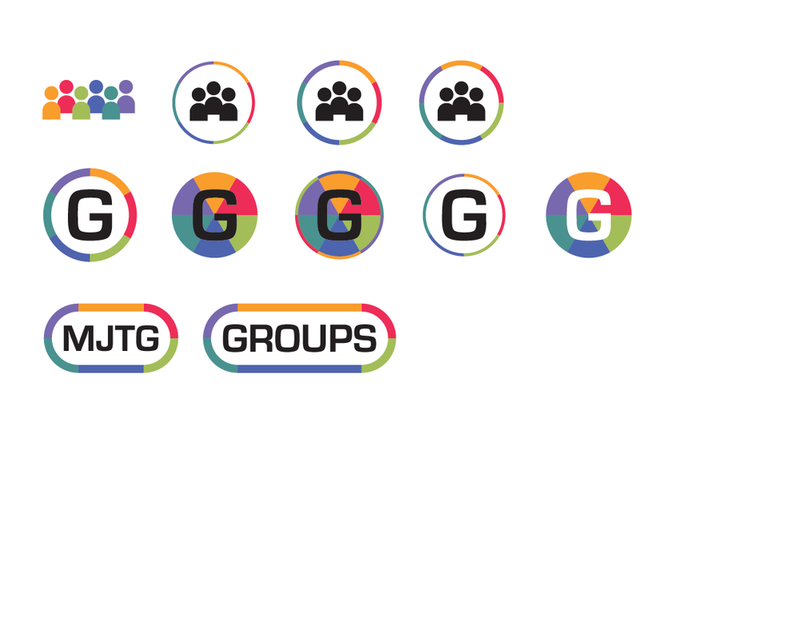 The associate mark can be used as signage for an easily identifiable environmental waypoint for groups to gather at in the lobby. This geometric design is meant to evoke qualities of the theatre building itself. 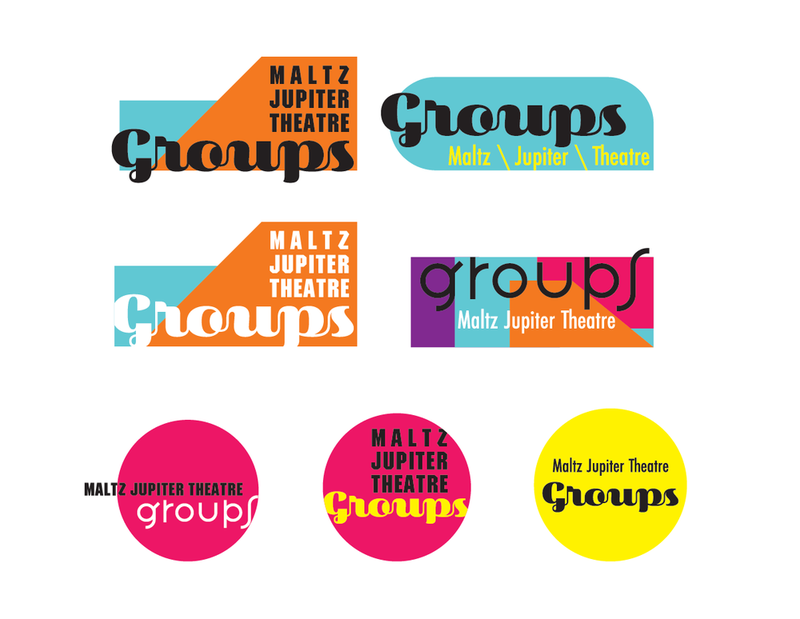 The contemporary style was design to push further away from the main theatre branding and appeal to young professionals.